On 26 June 2015, Harry Potter author J.K. Rowling announced she was at work on a new Harry Potter story, titled Harry Potter and the Cursed Child. The twist? 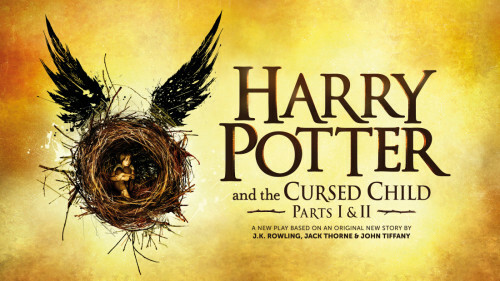 It’ll be performed as a two-part play on London’s West End starting in 2016. The ‘eighth’ Harry Potter story will be part of the official canon, and will be set nineteen years later — where the epilogue left off. The story is the result of a collaboration between writer Jack Thorne, director John Tiffany and Rowling. No word yet on a Broadway production — stay tuned for further news!